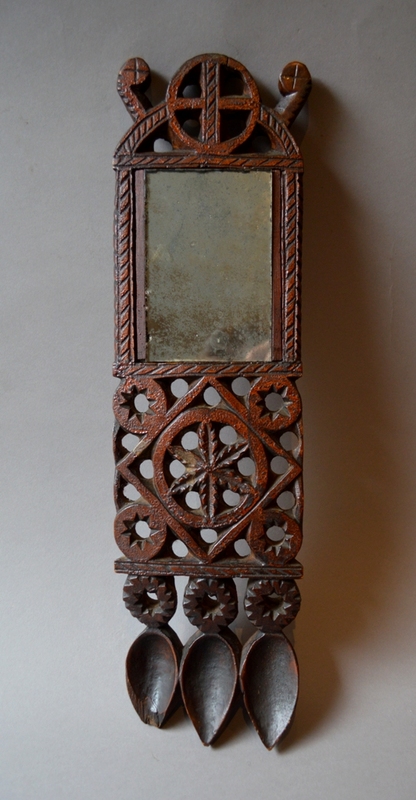 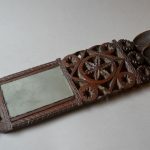 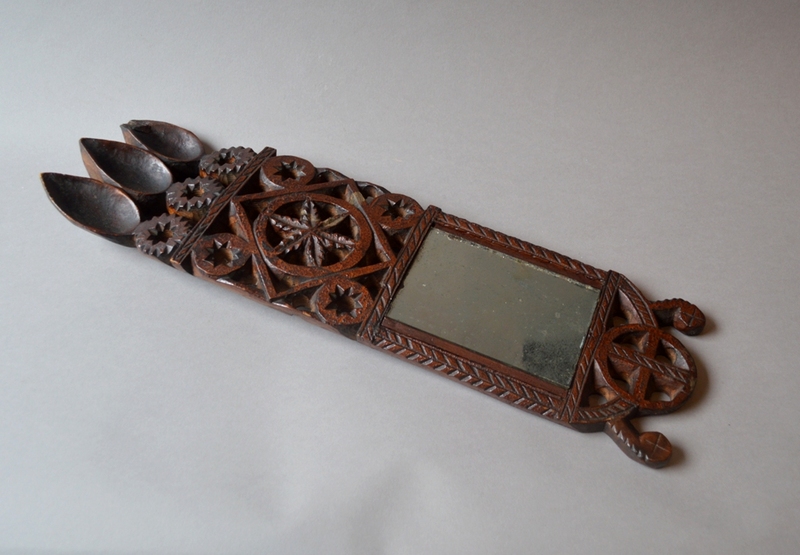 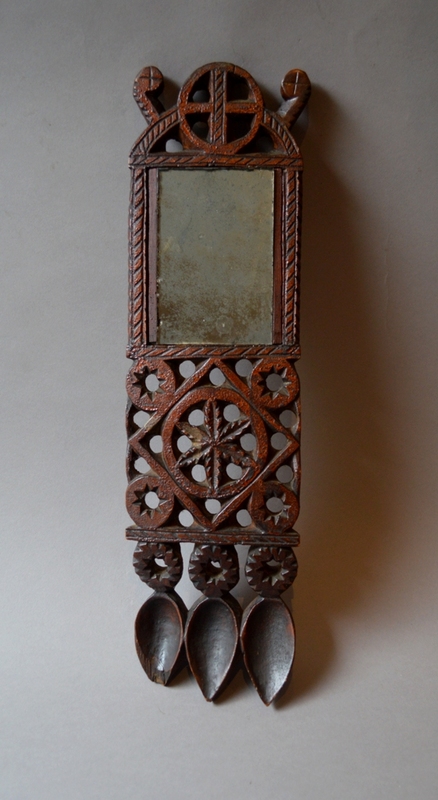 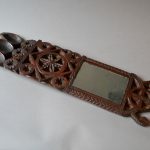 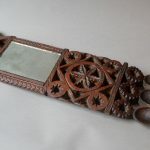 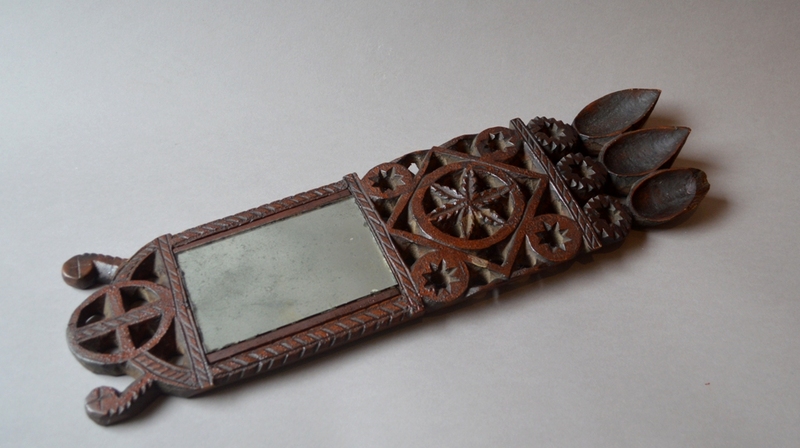 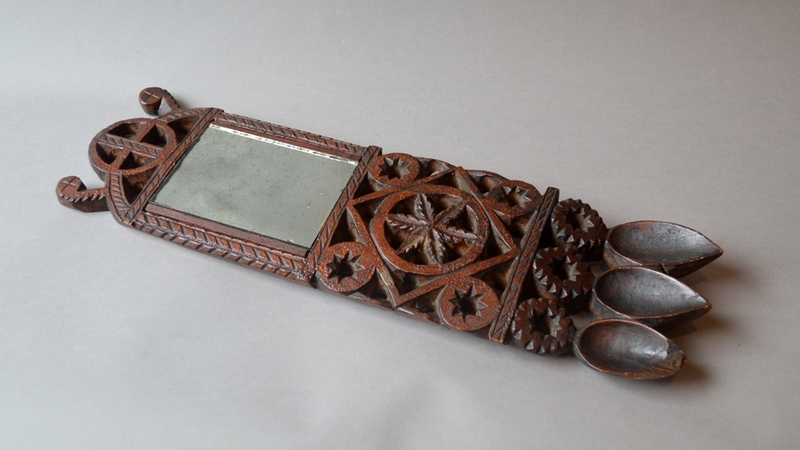 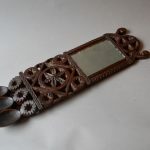 A large 19th century primitive chip carved and pierced Welsh lovespoon with mirror. 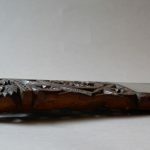 Made from a single piece of Sycamore with old crackle finish. 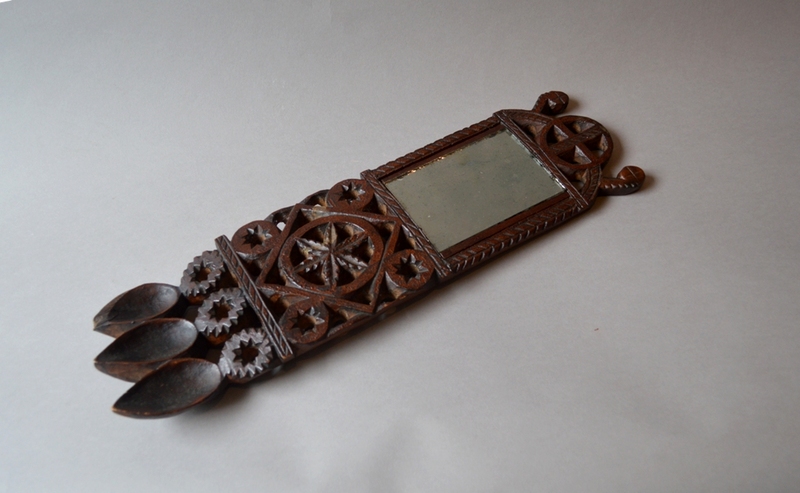 Chips to the spoon tips & old repair the top. 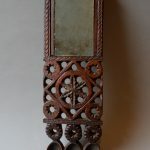 Mirror is old but probable a replacement. 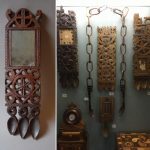 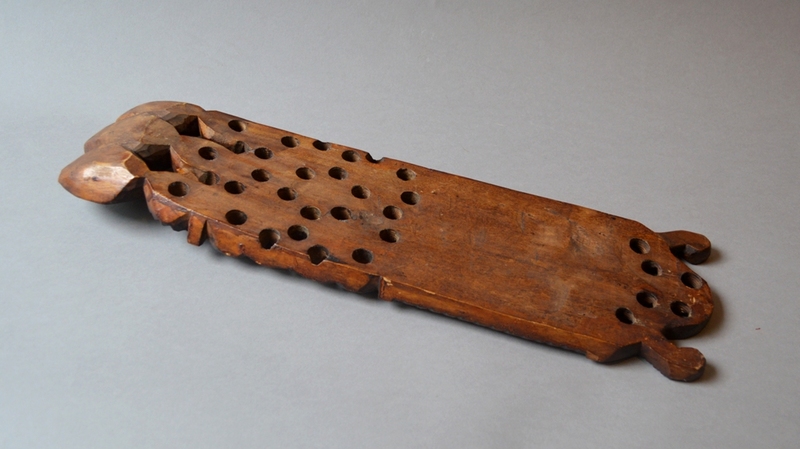 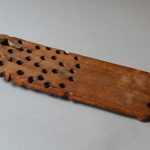 One images above shows this lovespoon along side a collection of similar lovespoons in the Carmarthenshire county museum in Abergwili, Carmarthen.